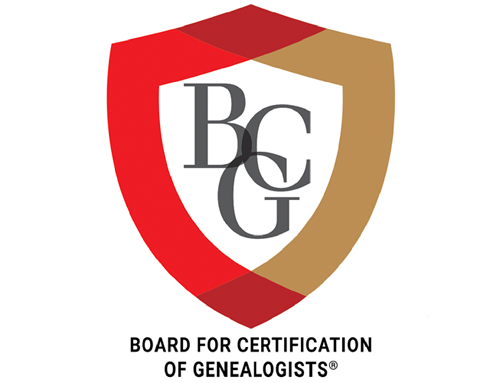 This is the first in an occasional series intended to educate and challenge BCG associates, aspirants, and the genealogical community at large. Confession: Since starting this post, I’ve come to realize that my idea of proof statements was all wrong. Now I have them pretty well figured out. I hope this post will help you understand them better, too. The heart of all our genealogical work is determining identities and relationships and proving them. Proof statements are one means of presenting our genealogical conclusions. Not all statements, even if they are source-cited, are proof statements. Proof statements are special. All by themselves, individually, they can make a case for a conclusion and comply with the Genealogical Proof Standard. What? How does that happen? Let’s look at one of the standards. Whew! Let’s break it down. What are proof statements? They are conclusions within a broader context that meet current standards for genealogical proof. Let’s analyze the standard to see the requirements. o They are “sentences and data items [as in a table].” They make an assertion. o They are “source-cited.” They include the source citations. • The whole context (like the single proof statement) is thoroughly documented. • The context demonstrates “adequate research scope.” The context and its citations show reasonably exhaustive research. How do proof statements comply with the five criteria of the Genealogical Proof Standard? 1. The proof statement and the context of which it is a part reflect broad research in a wide range of best available sources. 2. At least two source citations support the assertion. One or more may appear in the footnote to the proof statement. Or one may appear in the footnote and other(s) in the broader context in which the statement appears. 3. The citations reflect use of high-quality sources and information. Priority is given to original sources and primary information. The proof requires no further explanation or discussion of the evidence. It fits well in its context. 4. Resolution of conflicting evidence requires explanation beyond the scope of a proof statement, so it is not applicable to this type of proof. 5. A proof statement is the write-up of the conclusion. Where do we find proof statements? What do they look like? We use them in every genealogical work product we create. The next “Ten-Minute Methodology” post will give examples of proof statements. Be watching for it as you mull over these concepts! Board for Certification of Genealogists, Genealogy Standards (Nashville: Ancestry, 2014), 32.